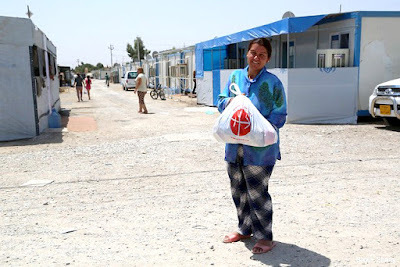 Summer 2015 - Distribution of food packages in Iraq to 13,000 refugee Christian families. Initially a graduate of history from the University College of Wales (Aberystwyth), I subsequently spent 40 years in the Civil Service, with HM Customs and Excise, and then HM Revenue & Customs. During that time I worked in a number of widely different roles. I am married, and have four children over 21. How long have you been volunteering at the Charity? If you exclude my time as Parish Rep for Aid to the Church in Need, at the Sacred Heart in Wimbledon (3 years), then I have acted as a volunteer at the UK Head Office in Sutton for one and a half years. How did you hear about the charity? By pure chance, at the last moment, I attended a Mass in the above Church and John Pontifex, Head of Press and Information at Aid to the Church in Need, made an appeal on behalf of the suffering church. I found John’s talk so moving that I resolved to help ACN in any way I could. I started by becoming a benefactor. What role do you play at Aid to the Church in Need UK? I work in the press department at least once a week, and have performed a number of functions there. These include updating records, proof reading text, providing visual displays for events, supporting appeals made in London, and in one case, my parish, actually making the appeal myself (4 masses). I will also be representing the charity in the body “Faith in Europe” in the New Year. Why do you think people should support the work of Aid to the Church in Need? A leading question. We, as Christians and Catholics, cannot ignore the suffering and torment of others throughout the World. They are in effect our brothers and sisters, and we cannot look away from their plight. We cannot stand aside and enjoy our own pleasures. ACN works in 140 countries throughout the World, and in many different ways. It is not a small organisation with limited impact. Over the last year it has spent around £7 million supporting those fleeing to the north of Iraq from Daesh (ISIS). This is but one, very important example. Do you have a message for the persecuted Church? Have faith. We will support you in your time of trouble. Although I was born in Kenya some 86 years ago, my roots are in Goa, a former Portuguese possession on India's west coast (now part of India). After completing my education, I took up employment in the Colonial Civil Service in Kenya, working there for nearly 20 years. Moved to the U.K. in 1966 following the Africanisation of my post in Kenya and worked in various private companies here for many years. Have been an active member in my parish for nearly 50 years. In addition to volunteering with ACN, I still enjoy writing for magazines both here and in Kenya. Have also published two memoirs of my life and times in India, Kenya and the U.K. I have been married now for sixty three years, and my wife and I have been blessed with four children and eight grandchildren. 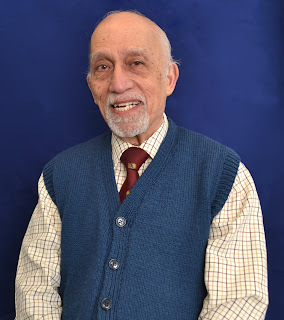 It was in the early 90’s that Neville Kyrke-Smith, the Charity’s National Director, made an appeal in our parish outlying the work of this Catholic charity. I was completely bowled over by Neville’s ‘art of gentle persuasion’ and enlisted in the “voluntary army” almost immediately; I can hardly believe I’ve now been with the charity for over 20 years, starting in rather “cramped” offices in Carshalton Road, Sutton, moving later to a brighter office in Times Square, and now in our own premises at Benhill Road, Sutton. The charity has certainly grown since I first joined and, from a handful of volunteers in the early days, we now number some 15 most of whom work in the Trading department. Appeals made in various parishes around the country by Neville and other Area Secretaries, plus publicity of our work in the Catholic Press bring in a flood of requests from our regular supporters and others too. These are normally in the form of donations –both large and small, requests for Masses and orders for any number of religious and other articles available from our catalogue. This is where we, volunteers, come in. Hundreds of ‘thank you’ letters need to be sent out, orders for books and other items despatched etc. All this keeps us busy, in between cups of tea/coffee! Volunteers work on different days on a rota basis but we all work as a team and certainly feel a sort of bonding with our benefactors and persecuted Christians around the world. The camaraderie among the staff and volunteers is simply wonderful and this in itself makes our job all the more worthwhile. Another aspect of our voluntary work has been the privilege of meeting many of our distinguished guests notably at our Westminster event each year. This event is very popular and attracts several hundred supporters not only at the concelebrated Mass but at the talks in the hall that follow. Like many other volunteers, I have been very privileged to meet some of our distinguished guests from many countries. It is always interesting to hear first-hand accounts of the untold suffering their people endure and to remind ourselves of how lucky we are to live in relative peace. I was also privileged to join two ACN pilgrimages to Walsingham some years ago and see at first hand the living faith of the pilgrims. Such occasions are always very uplifting. When I see how our charity has grown from that tiny ‘mustard seed’ planted many years ago by our Founder, Fr. Werenfried van Straatan, I can’t but thank God for the guiding hand of this saintly priest which is evident even today. In the person of Colette, we are lucky to have a very friendly and caring ‘boss’ to work with, as also with her staff Deborah, Kerry and Bill. in quite the same category but, like most retirees always wanted to give back to society what the world had given me. What better way than doing a voluntary job I thought? I admire the courage and resilience displayed by our persecuted brethren despite the difficult situations they find themselves in. Their deep faith is an inspiration to us all, and I want them to know that they are not alone in their suffering -they remain in our thoughts and prayers always. 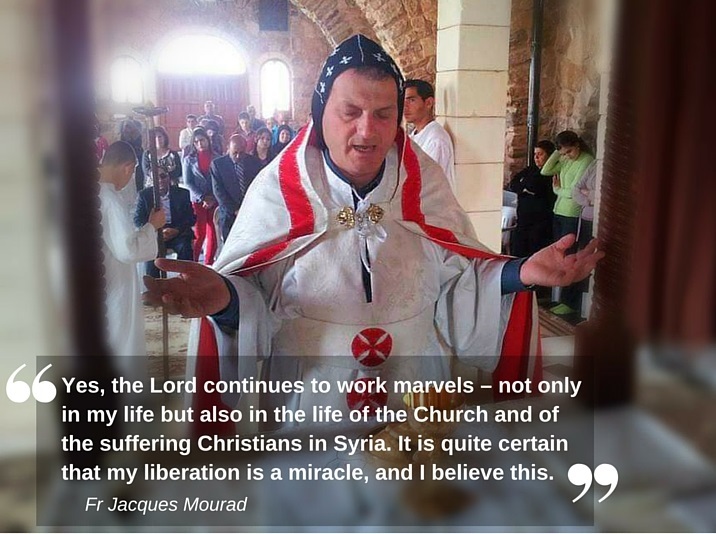 Priest describes escape from Daesh (ISIS) as a "miracle"
Father Jacques Mourad, the Syrian priest who escaped captivity last week after spending nearly six months in a Daesh (ISIS) prison in Qaratayn, Syria, has expressed his gratitude in a letter to Aid to the Church in Need. Fr Mourad, who fled with the help of the friend on the back of a motorbike disguised as an Islamist fighter, described his liberation as a “miracle”. He said: “And this miracle is not limited to the unforgettable moment when I was able to escape from the place of my captivity. Addressing benefactors of ACN directly, Fr Mourad thanked them for their support. ACN has supported the rebuilding of homes, help for displaced families and the care of the sick and disabled in Syria through the leadership of project partners like Fr Mourad and others. Though Fr Mourad also acknowledged the suffering of Syrian Christians still continues, he expressed his absolute trust in the Lord. Today the ACN UK office received a very special gift from one of our good friends, Nick Goryachkin. 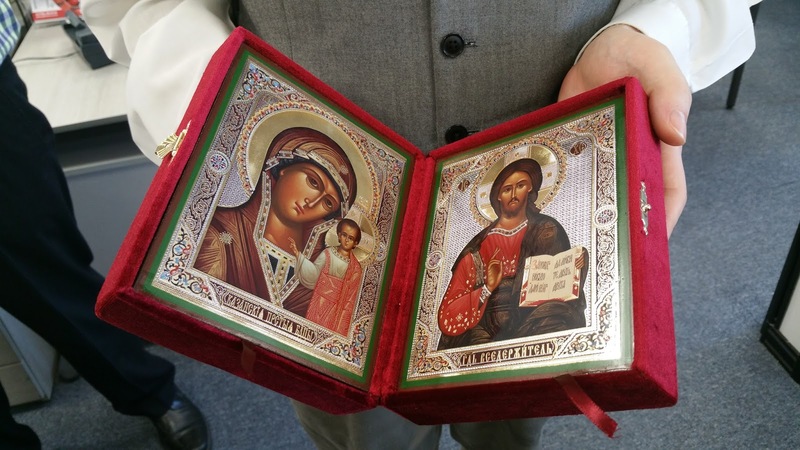 Nick, the Executive Director of Blagovest Media, presented Neville and the team with a wonderful icon from the Holy Trinity Alexander Nevsky Lavra in St Petersburg, Russia. The Holy Trinity Alexander Nevsky Lavra was established by Peter the Great as the first and the largest monastery of St Petersburg in 1710. Famous for its four historical cemeteries, tourists still flock to visit the site where St Petersburg‘s aristocracy and the most outstanding people are buried, including Dostoevsky and Tchaykovsky. The Skladen icon, set in a beautiful red velvet box, displays images on two folding panels of the Virgin Mary and of Christ Pantocrator. It was blessed by Russian Orthodox Bishop Nazary who has been Abbot of the Lavra (major monastery) of Alexander Nevsky, St Petersburg for 14 years and bishop of Viborg for the last seven. Aid to the Church in Need has previously worked with Bishop Nazary to help fund the the Cultural and Inter-Denominational Centre for Dialogue. The centre has since hosted a festival of Christian films as well as providing a space for discussion between different Christian groups. Nick stopped by the ACN office after visiting the Anglican Bishop of Coventry to discuss a new film about reconciliation set to be filmed in the UK. ACN’s annual Westminster event will be held on 17th October 2015 at Westminster Cathedral in London. The Holy Mass will begin at 10.30am followed by an afternoon of talks in the Cathedral Hall. Invited guest speakers at the event include Melkite Greek Archbishop Jean-Clement Jeanbart of Aleppo, Victoria Youhanna & Fr Douglas Bazi. Tickets are currently available for benefactors and friends and can be purchased by calling ACN on 020 8642 8668 or through our website. Around 160 Christians are thought to have been captured when extremist Islamist militia Daesh (ISIS) took over the town of Al Qaryatayn near Homs, Syria on Thursday 6th August according to a priest working in the region. But speaking to Aid to the Church in Need, the charity for persecuted and other suffering Christians, Father Jihad Youssef that the exact number of hostages was unclear. “But we do not know if all of the remaining Christians were taken as hostages by ISIS, or if some went into hiding. At the end of the week, some 30 Christians succeeded in fleeing from the town. Some are shepherds and they know the region. They fled to Homs.” The Syrian-Orthodox and Syrian-Catholic Bishops of Homs are currently seeking to resolve the problem through contacts, according to Fr Jihad. In May 2015, one of Fr Jihad’s confreres, Fr Jacques Mourad, was kidnapped in Al Qaryatayn together with Deacon Boutros. Their whereabouts are still unknown. The charity ACN is particularly active in the Middle East. More than €12 million (£8.4 million) have been spent since the end of 2011 in assistance to the Christians in Syria and Iraq. Recently, ACN has set aside more than €2 million (£1.4 million) for emergency aid in Syria. 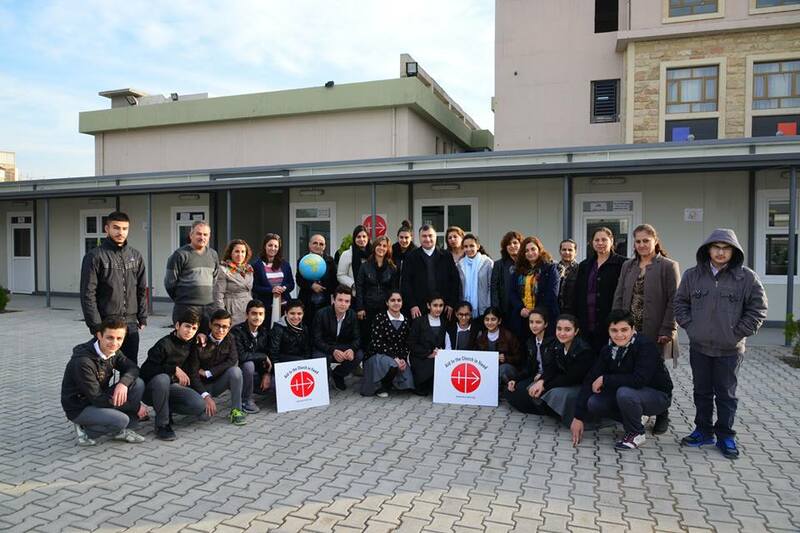 Iraqi bishops thank Aid to the Church in Need for building schools for Iraqi refugees. Iraqi bishops have extended their thanks to Catholic charity Aid to the Church in Need for its part in setting up schools for refugee children. 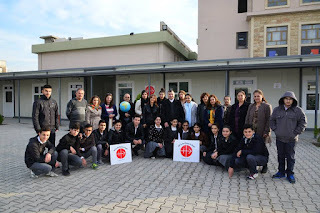 The schools were erected from prefabricated structures in two Chaldean dioceses and a Syriac-Catholic diocese for the children forced to flee from the terrorist organisation Daesh (ISIS). More than 7200 Christian children are now able to receive their education in what are now eight schools, taught by Christian teachers who also fled Daesh occupied towns. The buildings are also used for catechetical instruction and other church activities. In a message to ACN, Archbishop Bashar Matti Warda of Erbil expressed his gratitude to benefactors: “We would like to thank you for your kind support for our community during this difficult time, when thousands of Christian families were forced to leave their homes and properties due to the ISIS attack last June to August 2014. ACN has provided more than 8 million euros in aid for persecuted Christians in Iraq since August 2014. As well as helping support the construction of school buildings, the aid has funded the purchase of temporary shelter and food provisions. Aid to the Church in Need helps Christians who suffer persecution or oppression for their faith. Find out about our mission to support the suffering Church in more than 130 countries around the world.